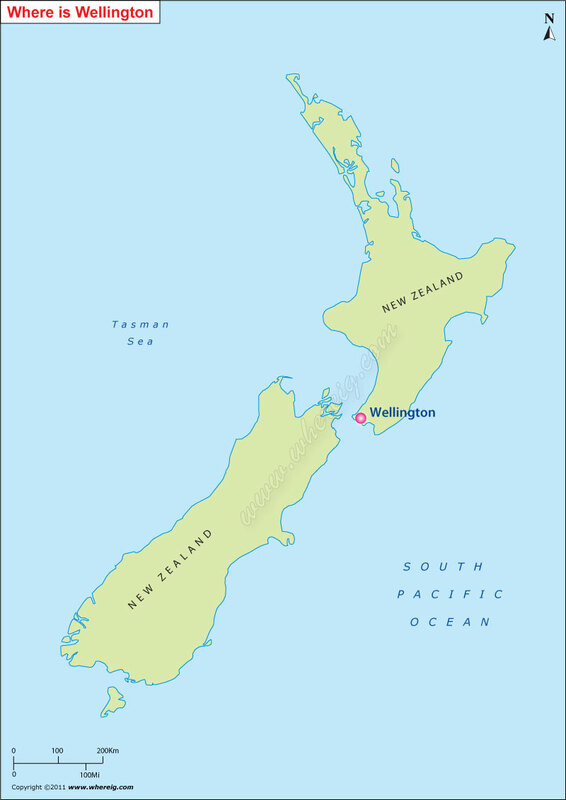 As shown in the given Wellington location map that Wellington is located at the southern tip of North Island of New Zealand. It is situated between the Cook Strait and the Rimutaka Range. Wellington is the capital city of New Zealand. The Wellington urban area includes four cities namely Wellington City, on the peninsula between Cook Strait and Wellington Harbor, it has the central business district and about half of Wellington's population; Porirua City on Porirua Harbour to the north is notable for its large Maori and Pacific Island communities; Lower Hutt City and Upper Hutt City are largely suburban areas in the northeast region; collectively known as the Hutt Valley. As per the report given by Mercer Quality of Living Survey for the year 2010 it is ranked 12th in the world on its list. Wellington is important cultural and economic center of the country. It homes various natural landscapes and also human built features including museum, education centers, art center, and various other features. All these points of interests fascinate tourists across the world.